omelet with bacon and vegetables. 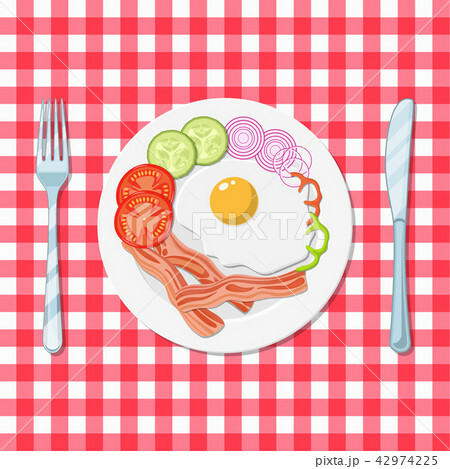 イラスト素材: omelet with bacon and vegetables. omelet with bacon and vegetables. Scrambled eggs breakfast. illustration in flat style Raster version.